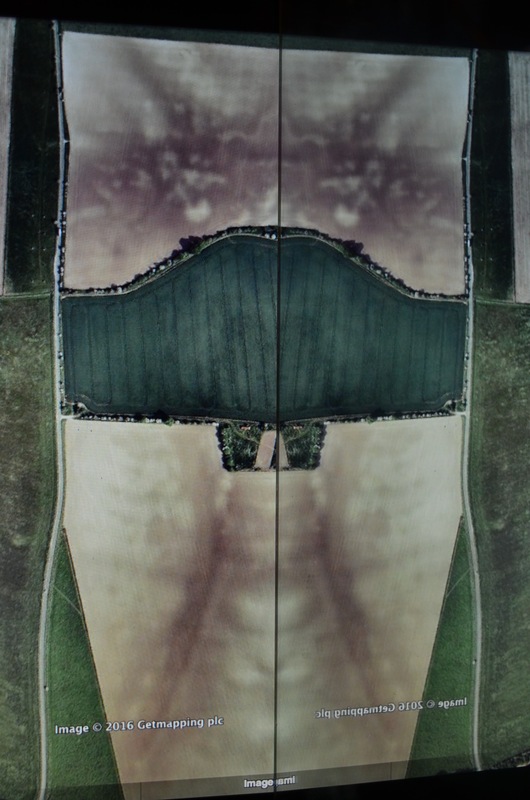 Please expand the boxes below to view full image information. 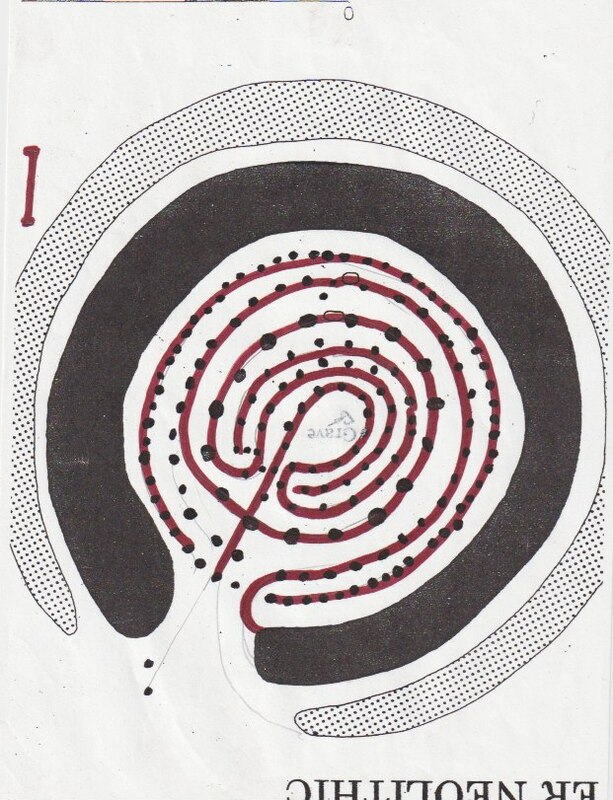 Using Maud Cunningtons original details of her archaeological dig of wood henge, you can literally create a dot to dot joining together the posts which form the image of the well known labyrinth. 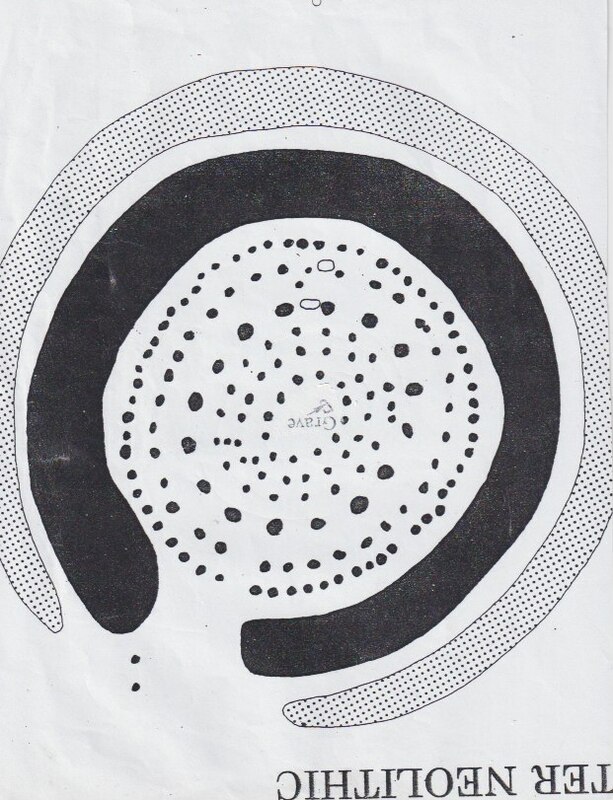 This symbol goes back as far as 1800-1400BC where the symbol can be found at Knossos in Crete, where Theseus slew the Minotaur during the same period. 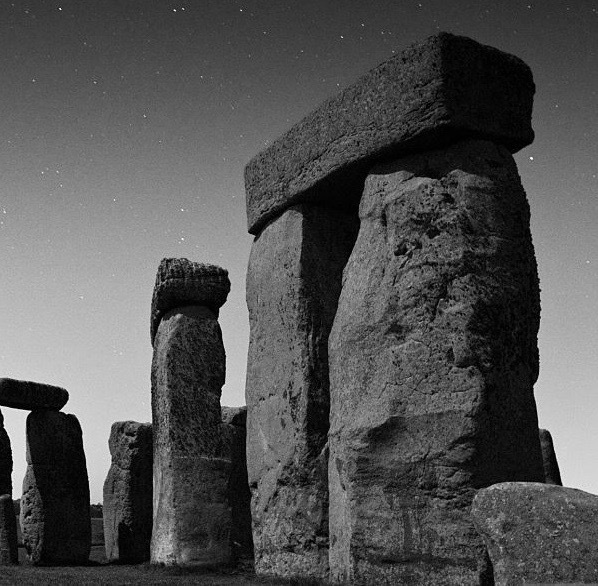 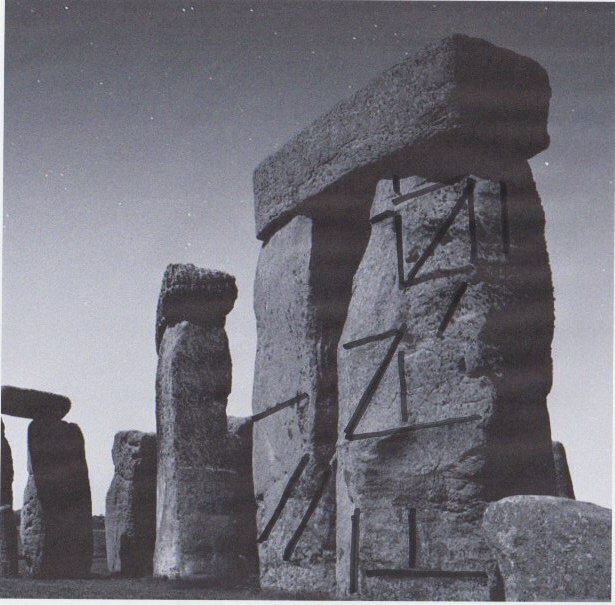 My interest has always been that henges actually have a far more practical use than we give them credit for, rather than an astrological purpose. 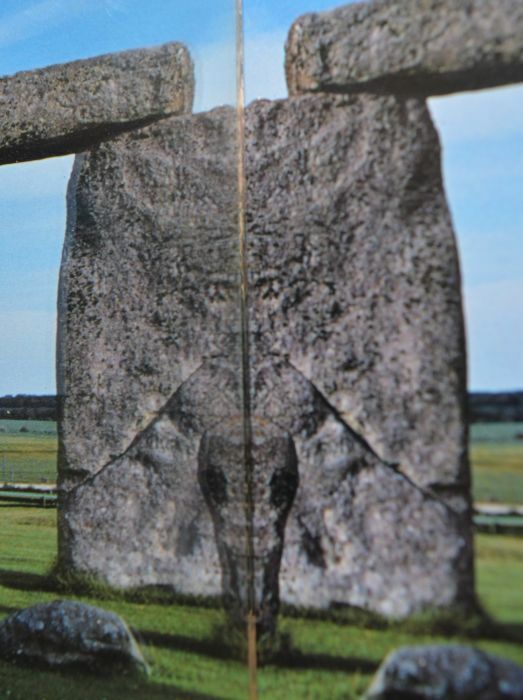 The first pictures show the heel stone at Stonehenge, and as in the previous post you can see the similar grid effect, but on the heel stone we can see the pattern expand in size dow the stone. 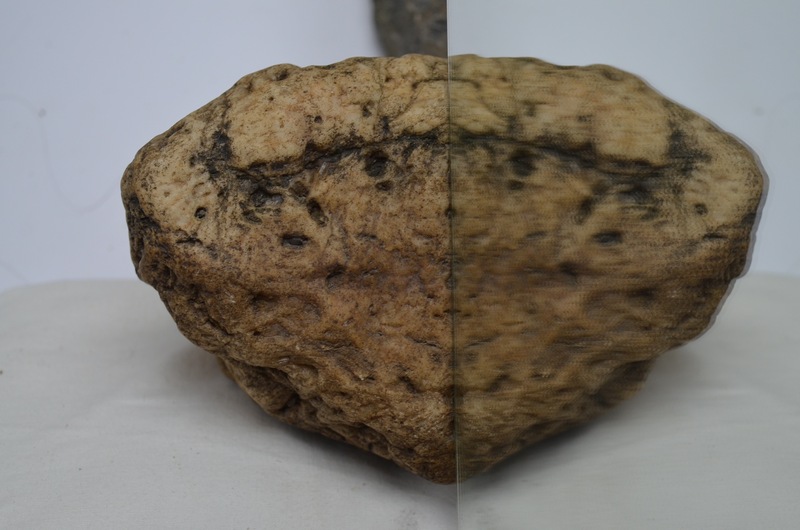 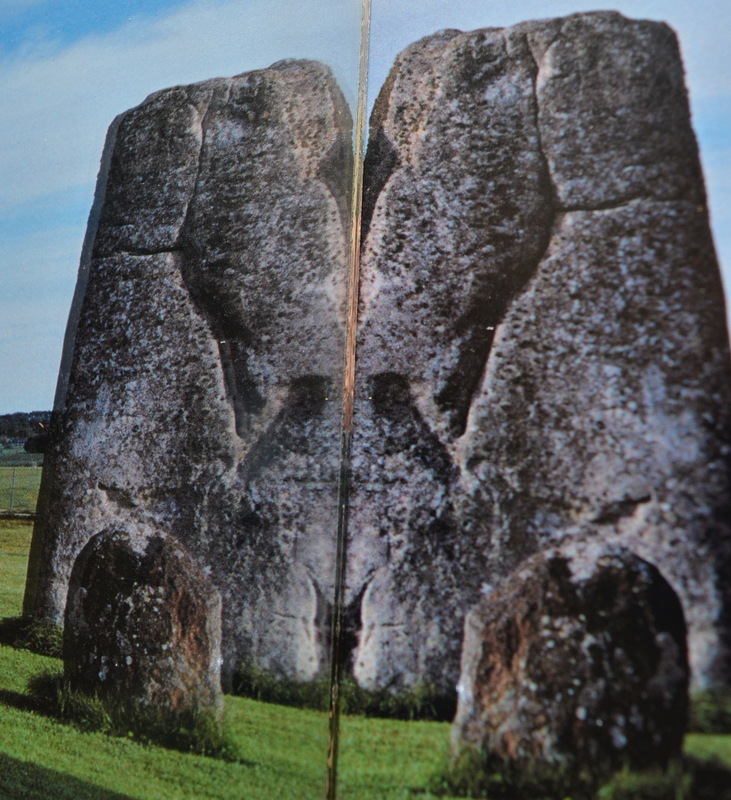 The first four photographs show both sides of the stone. 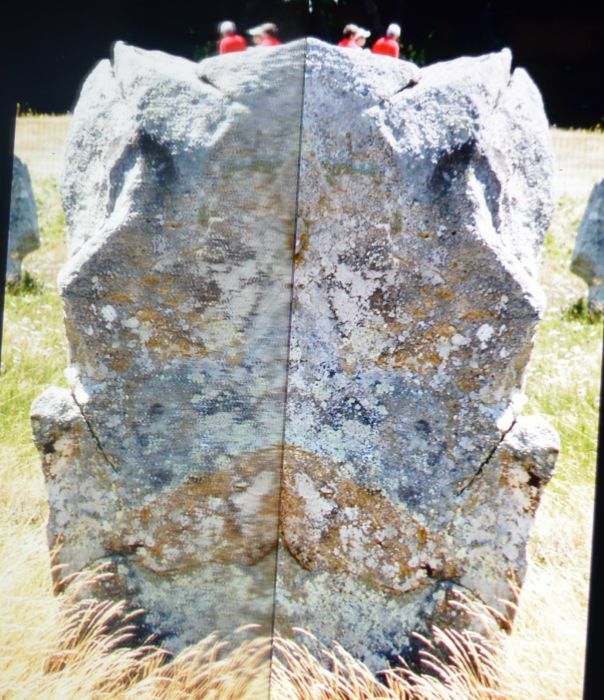 The next two images show the cap stones at Stonehenge where I have found that the pattern matches the pattern I have found on the Avebury stones, which again can be seen as expanding squares. 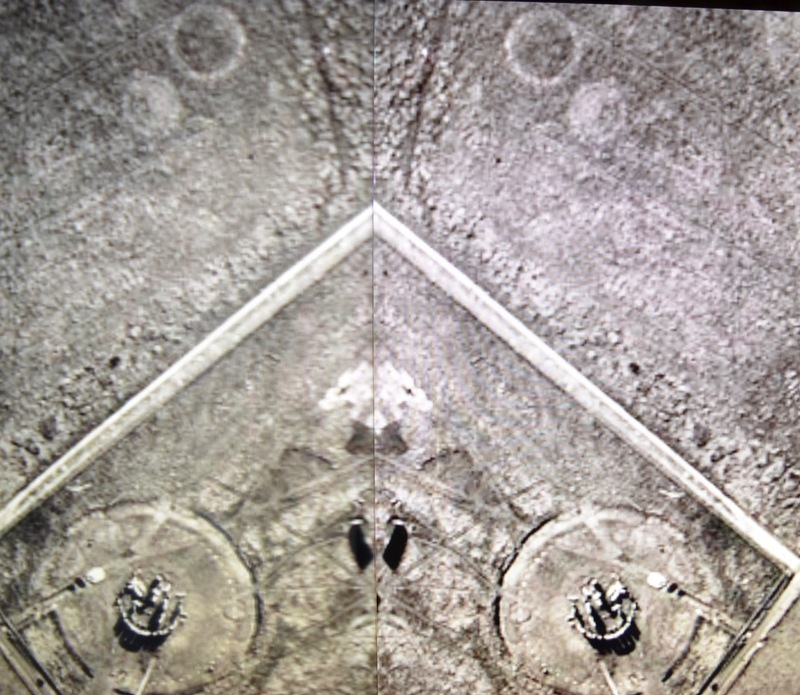 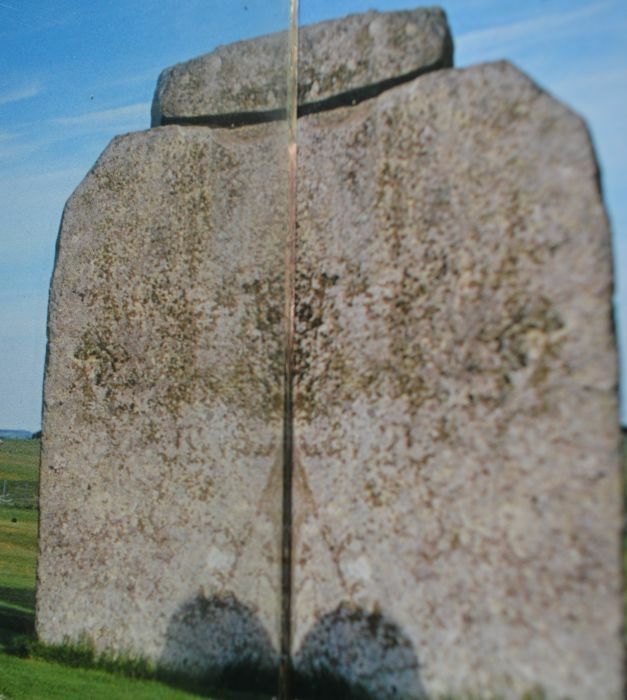 The last photograph is a black ad white photo taken of Stonehenge from a hot air balloon which I have reflected in a mirror to enhance the visibility of the grid pattern that can be seen running to the heel stone. 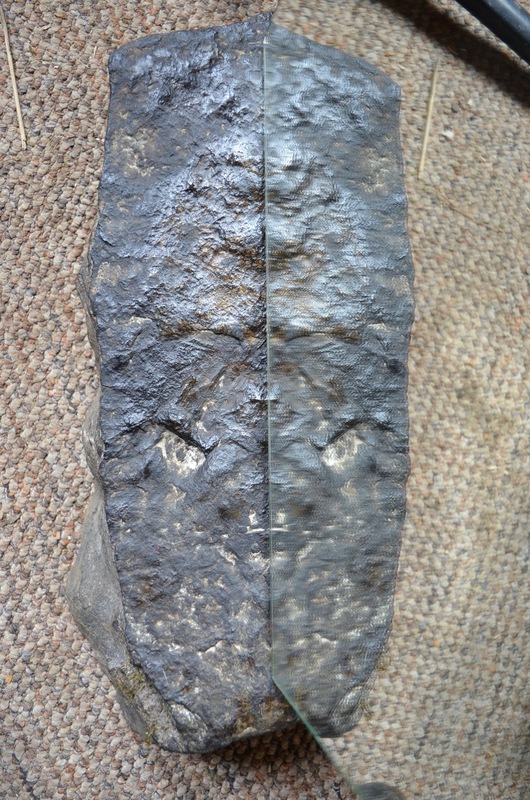 Having collected many examples of stones over the years, this is a stone I have found which weighs 4st and is 25cm across. 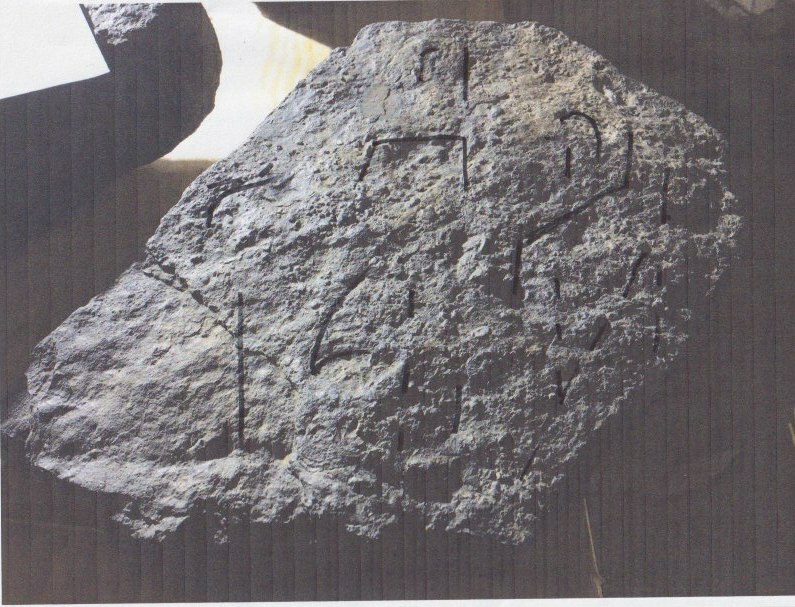 I've used a spotlight to highlight the markings that have been made into the stone. 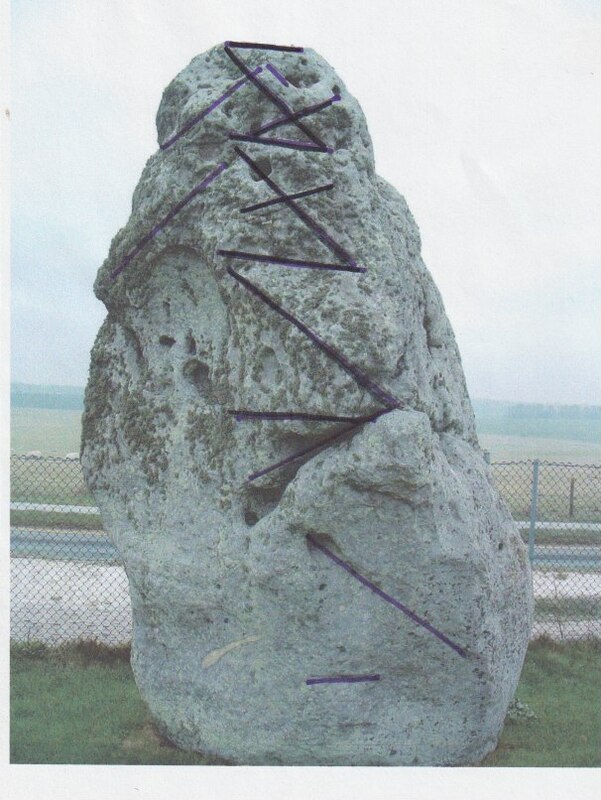 I have then traced the stone to highlight the particular markings that I see. 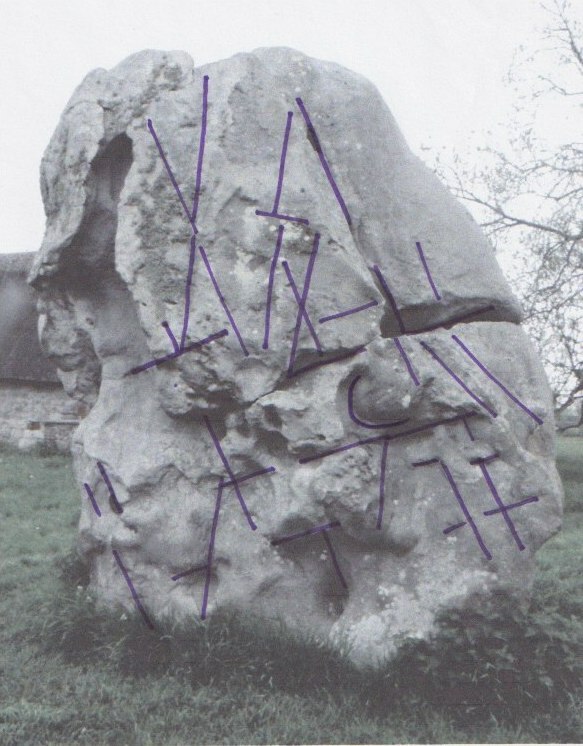 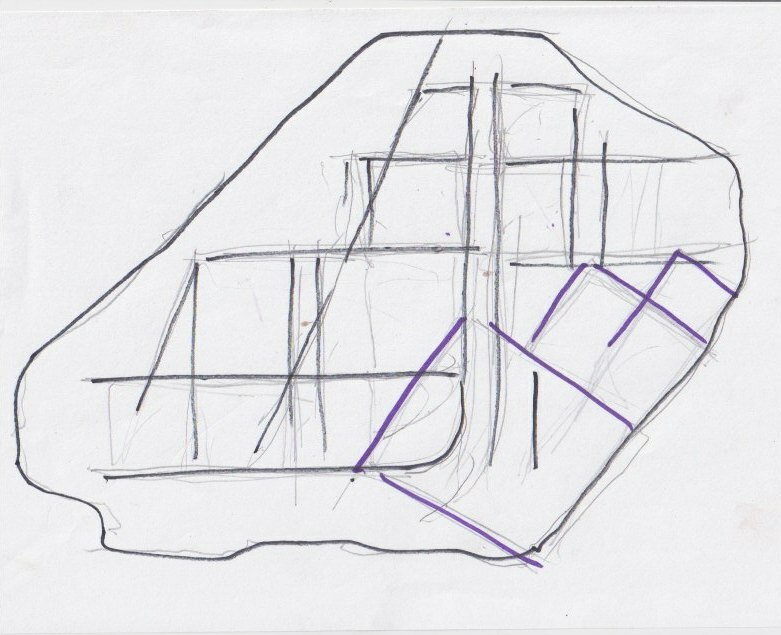 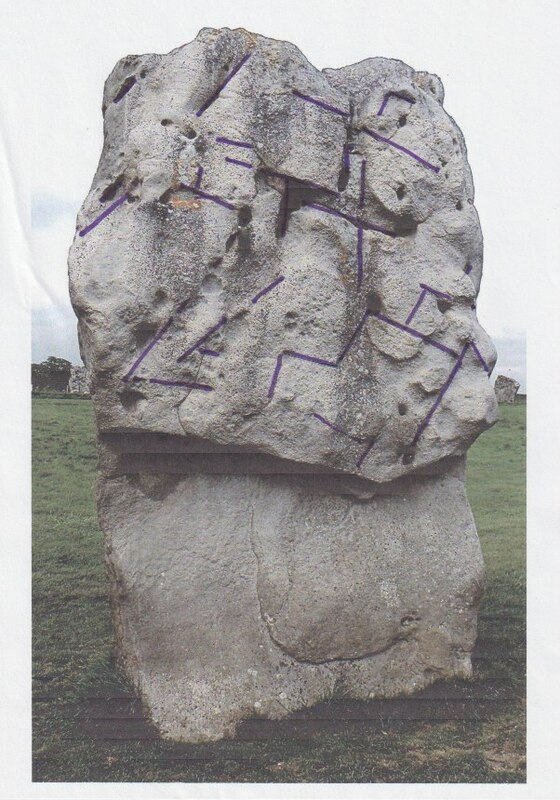 I have then drawn on a photograph of the stone to reiterate where exactly I see these markings. 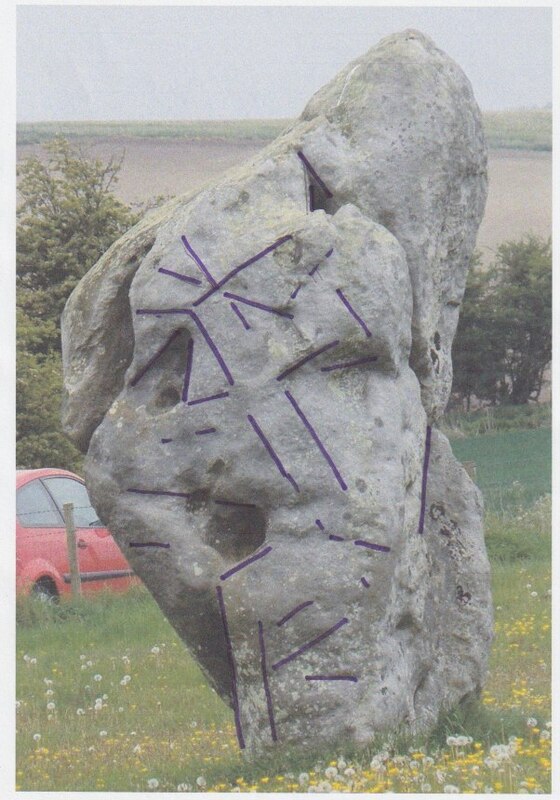 The fourth photograph is a stone from Avebury which I feel is a good example of how the pattern relates to the stone I found. 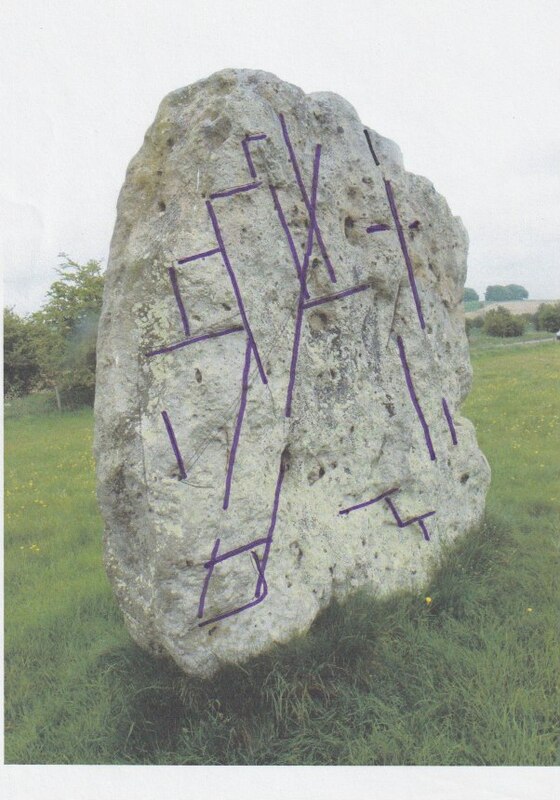 I've then drawn on the Avebury stone to highlight the similarity of pattern. 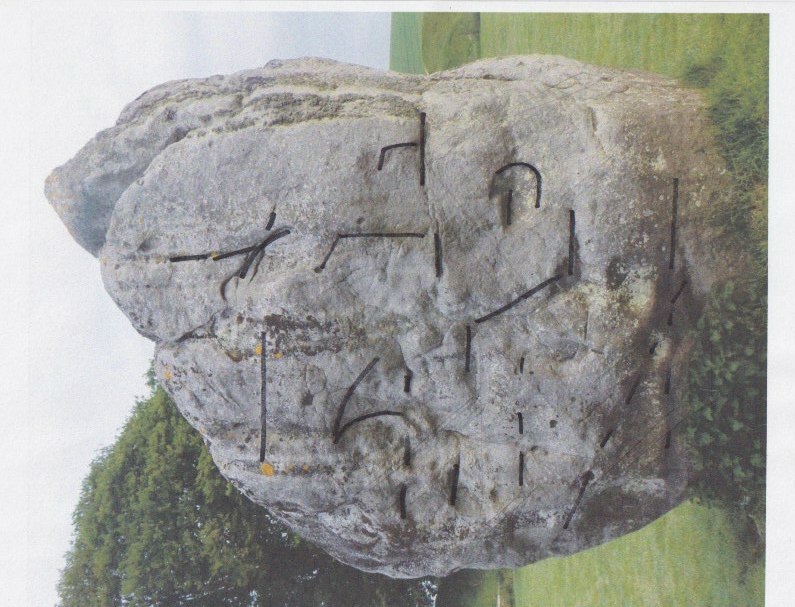 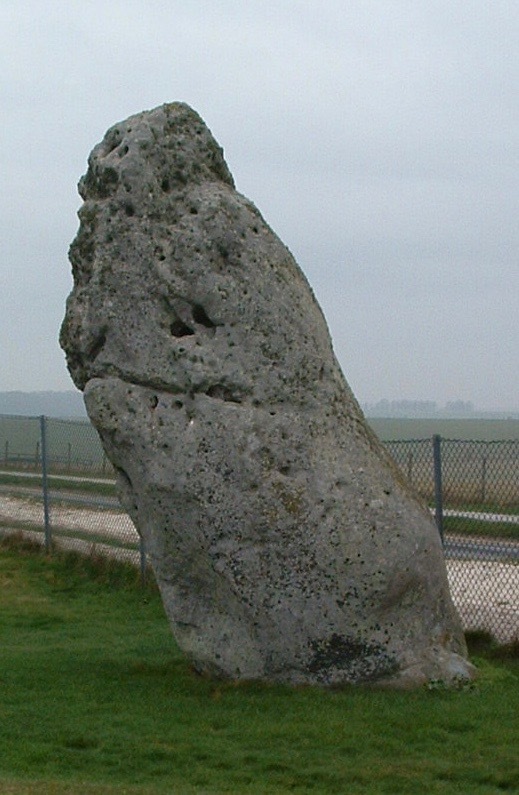 The other stones show more examples of this from Avebury. 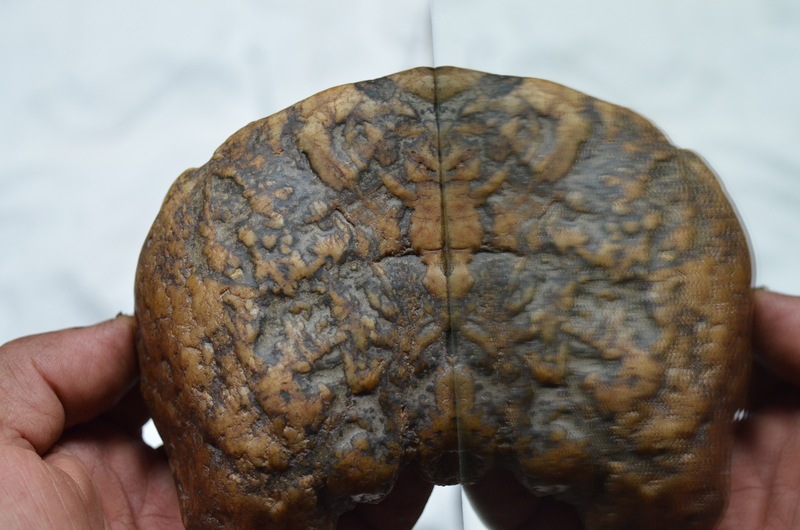 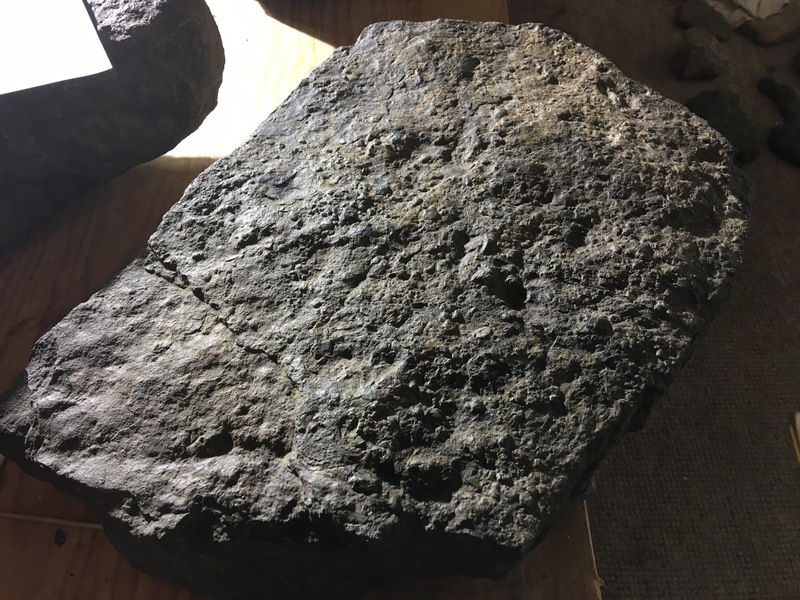 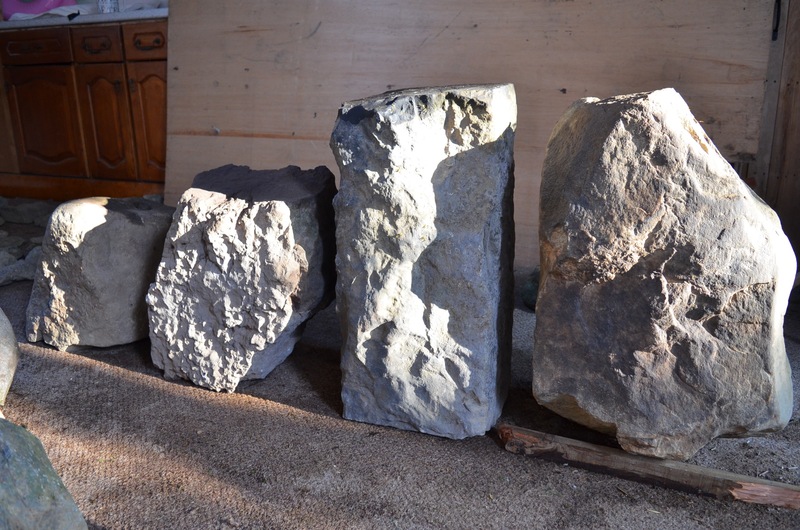 It's important to consider that although I see the pattern being similar in its nature in these stones, it is not possible for it to ever be exactly the same as every stone has its own unique shape and characteristics. 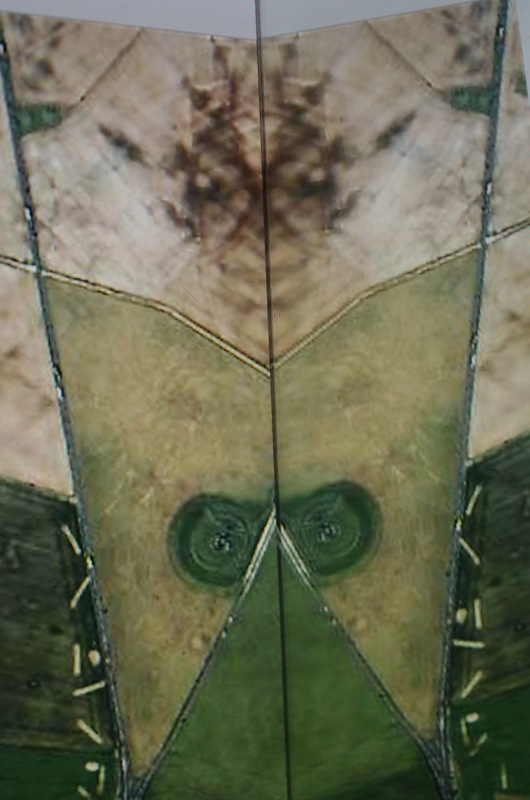 Just like in a human face, we all have eyes, ears, a nose and mouth yet we all look different. 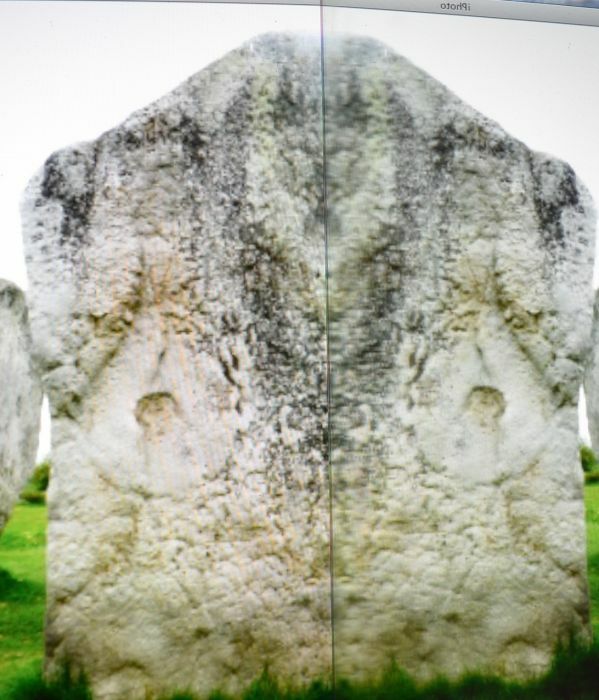 There is a consistency of pattern that appears again and again on the sides of standing stones and in the landscape around henges that can be identified by reflecting the image. 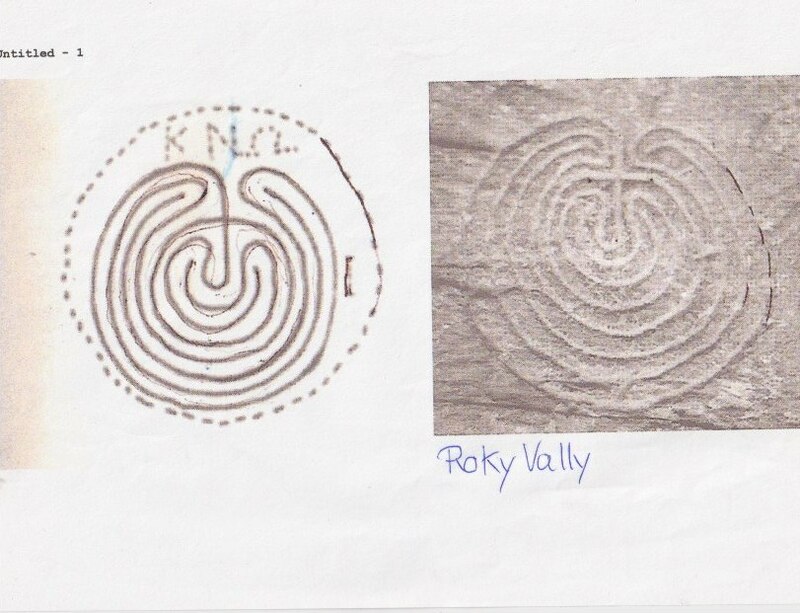 When I observe this, I see symbols like rams heads but the marks have little relationship to the real animal. 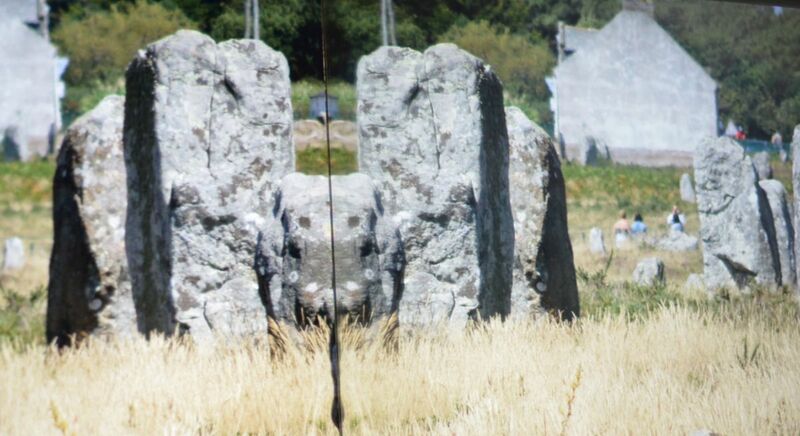 When asking people what they see in the image, some people see rams heads but others see faces and symbols that I haven’t noticed. 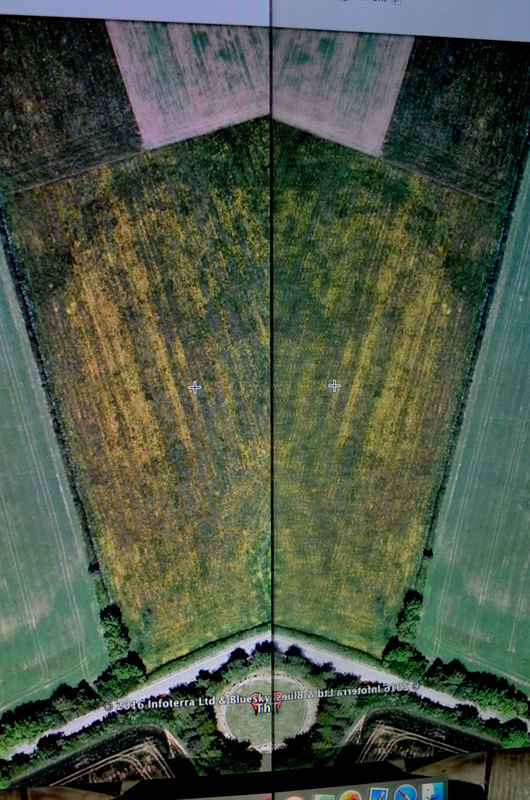 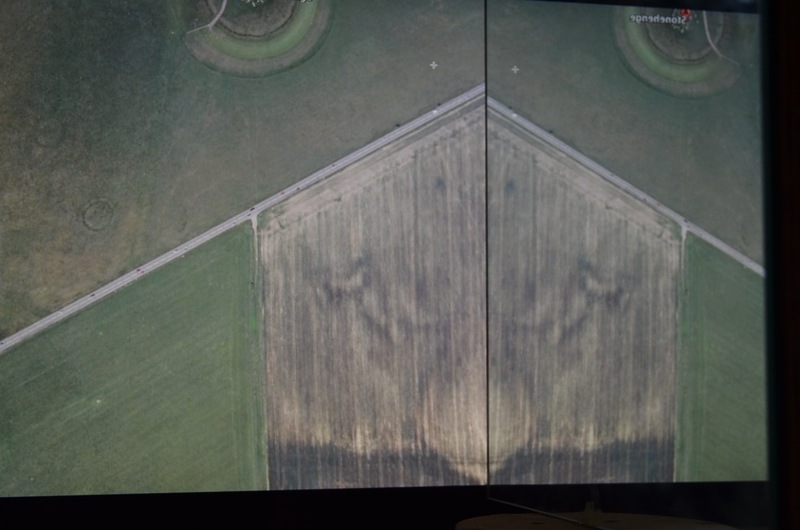 What the reflected image does show is a grid of marks that have a pattern in the fields around stone henge, Avebury and other circles. 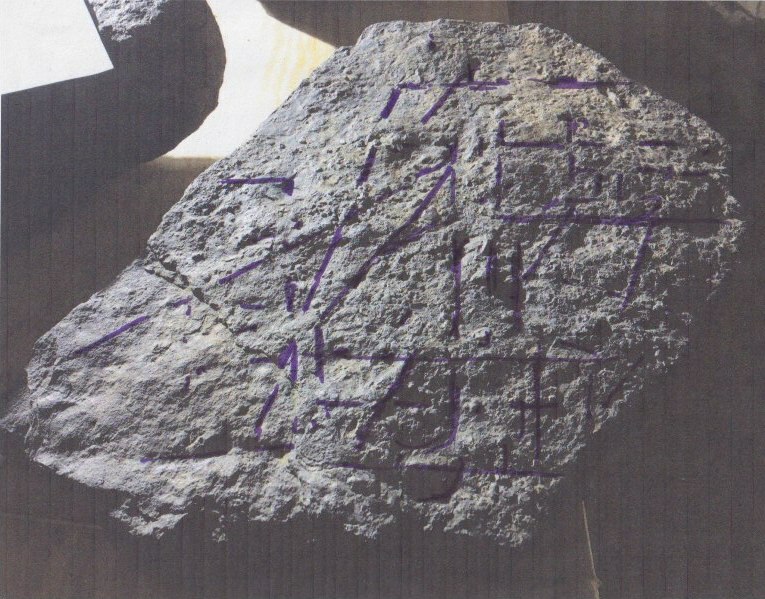 These patterns can be described by mathematics and the marks in the fields give us a graspable truth of the nature of these objects. 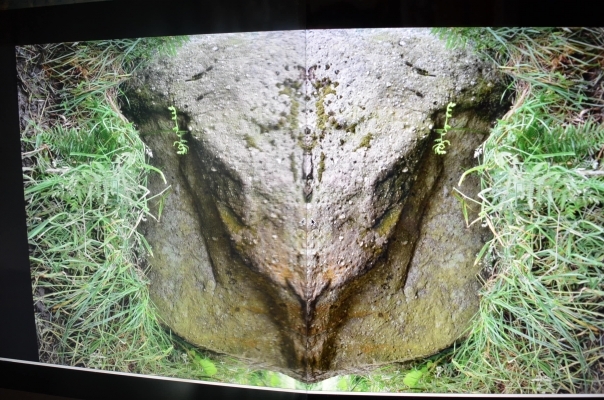 I live in a Welsh longhouse opposite an ancient hill fort called Merlin's Hill, in the Towy Valley, with the river flowing toward the estuary at Llansteffan. 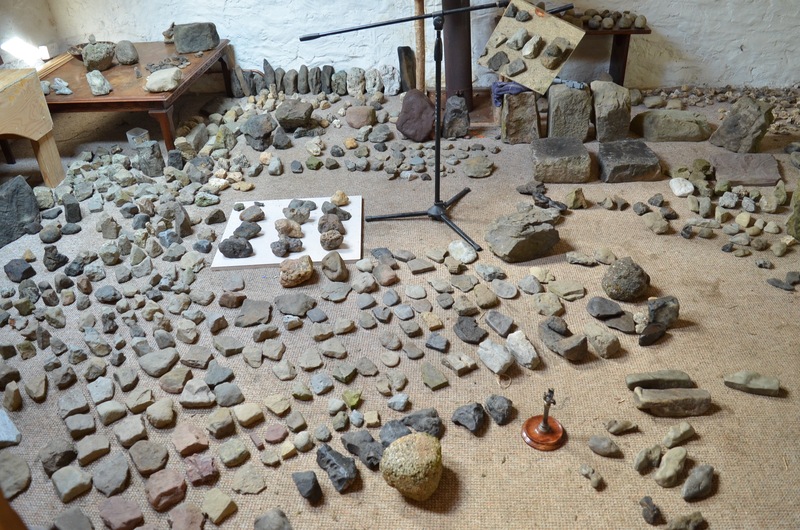 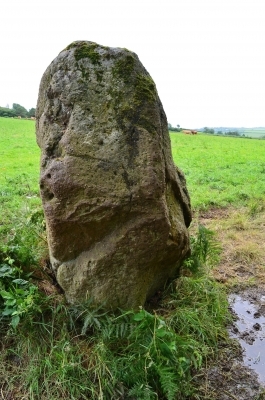 This would have certainly been an area that has been inhabited by human beings for millennia and so I started to find stones within my local area of all shapes and sizes. 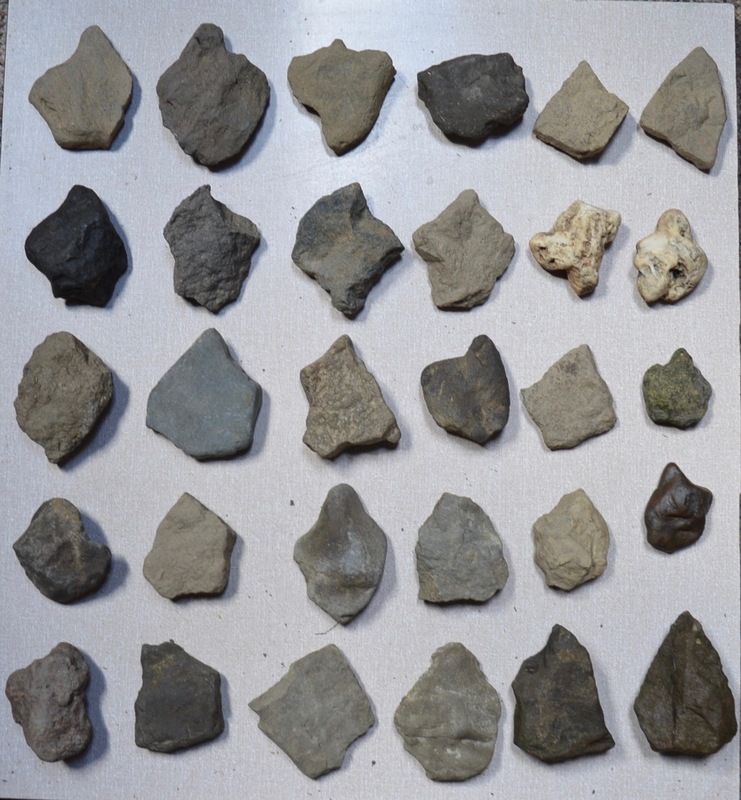 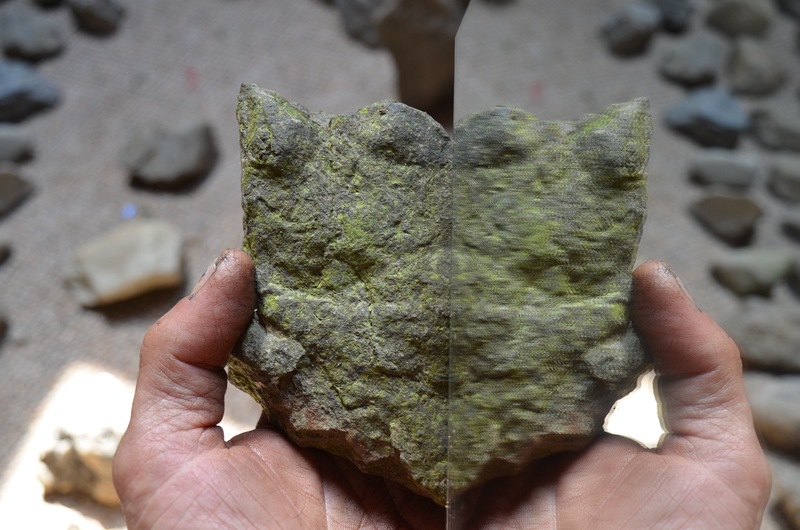 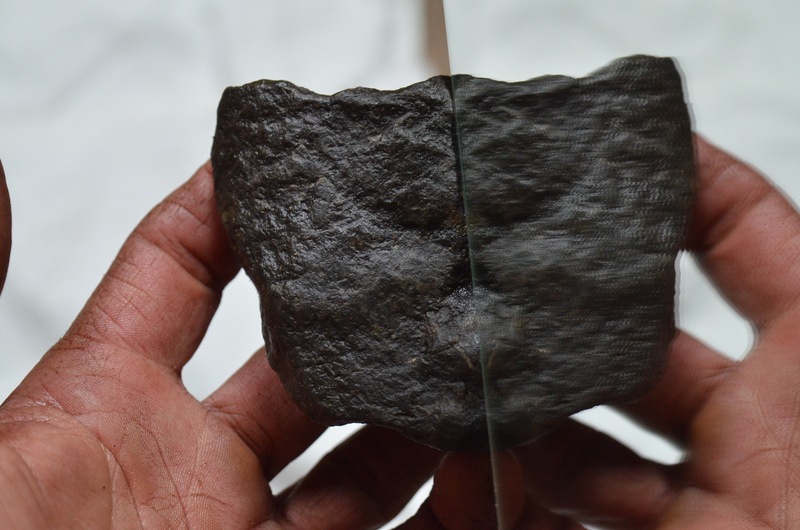 I found that these hand held stones also had a consistent pattern and shape which I believe suggests that they were used by ancient people as some kind of tool. 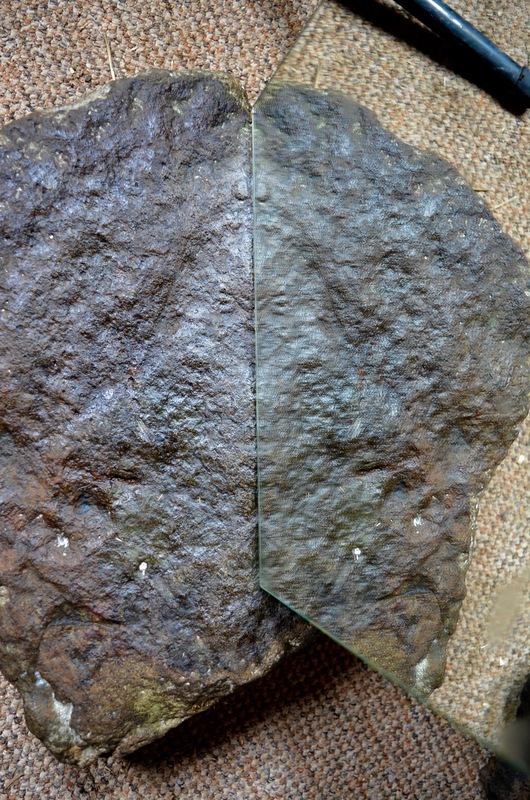 Once again, using the mirror I have demonstrated the outward flow of energy on each stone, this is illustrated both on the patterning of the stone itself and the outer edge of the stone. 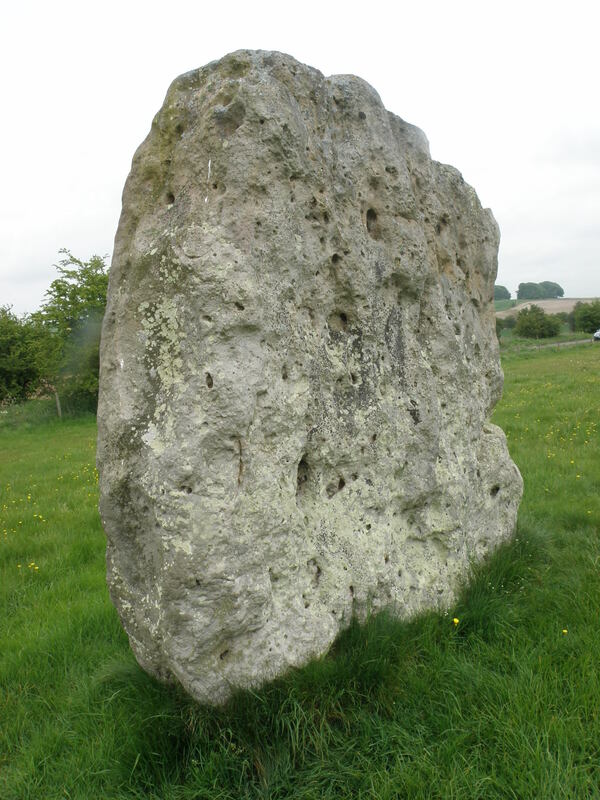 After studying standing stones for so long, I have found that as I work on the farms around my home I have a natural interest at looking at all the stones that I come across. 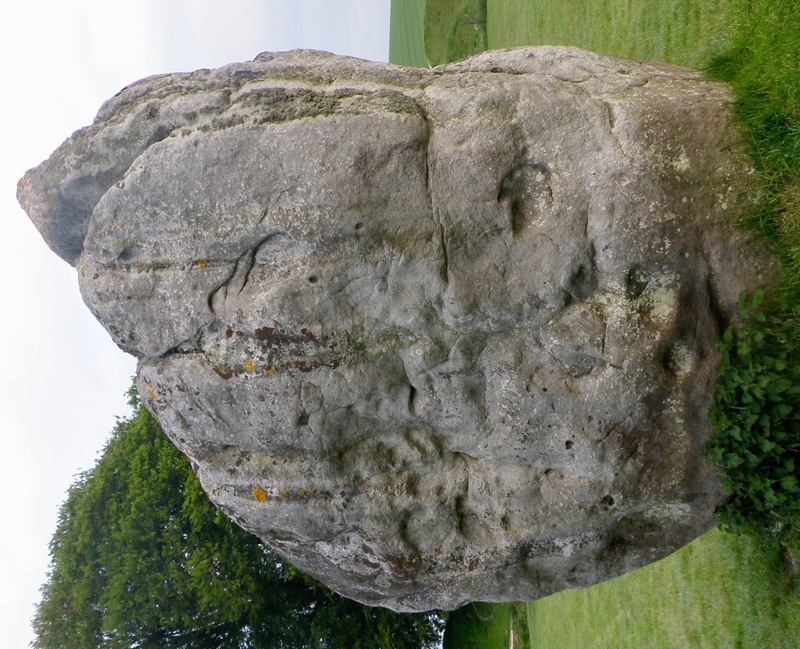 I have noticed that some of the stones that I found reminded me of standing stones and stone circles in both their shape and markings. 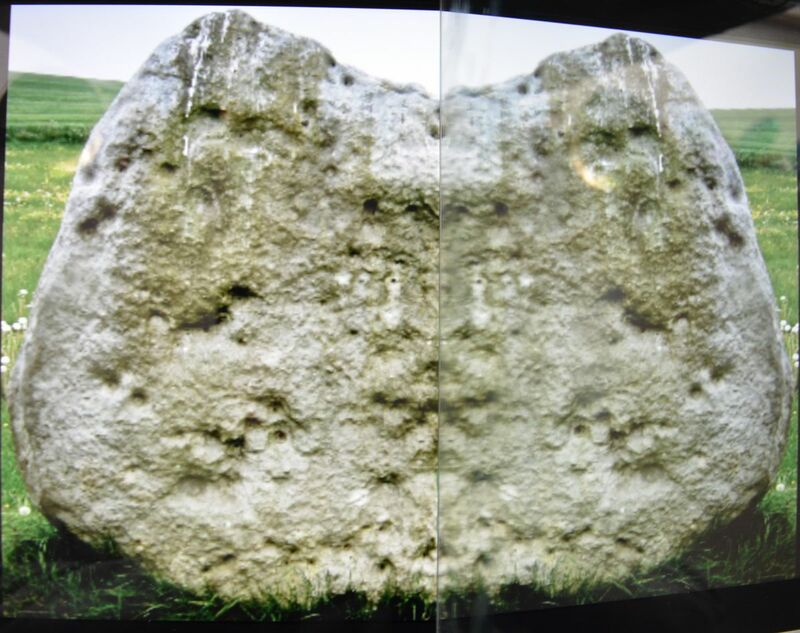 The first image shows some of the stones that I have salvaged from my local area and I have photographed them with the light casting across the front of the stone to accentuate their patterns. 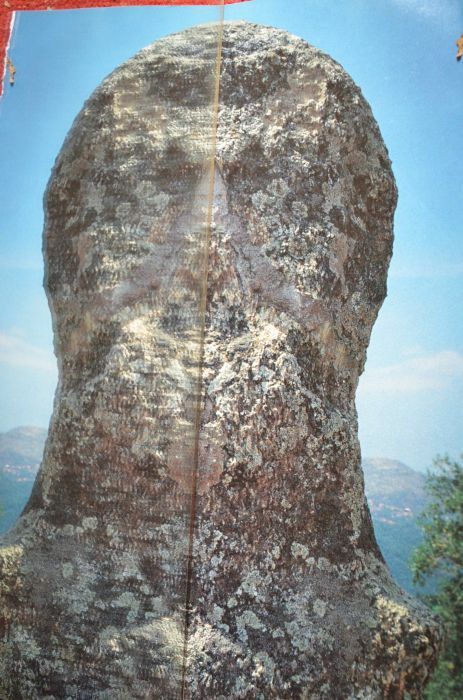 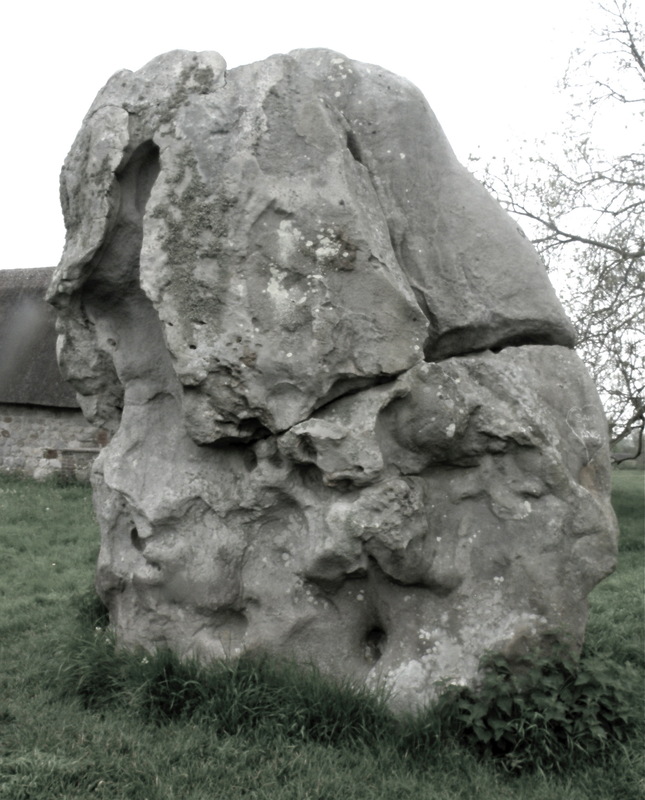 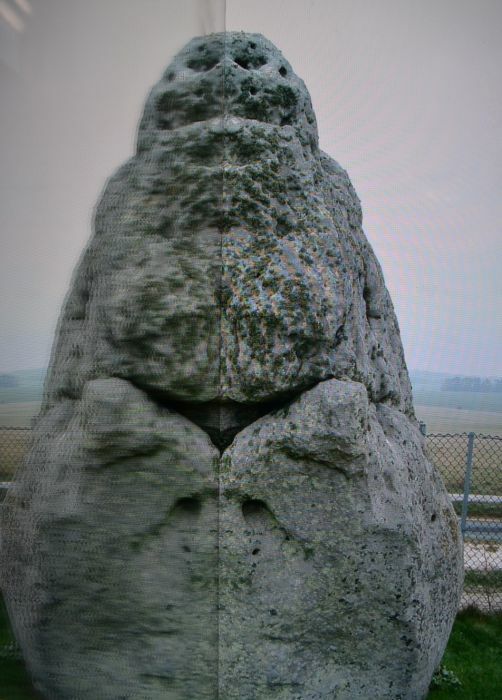 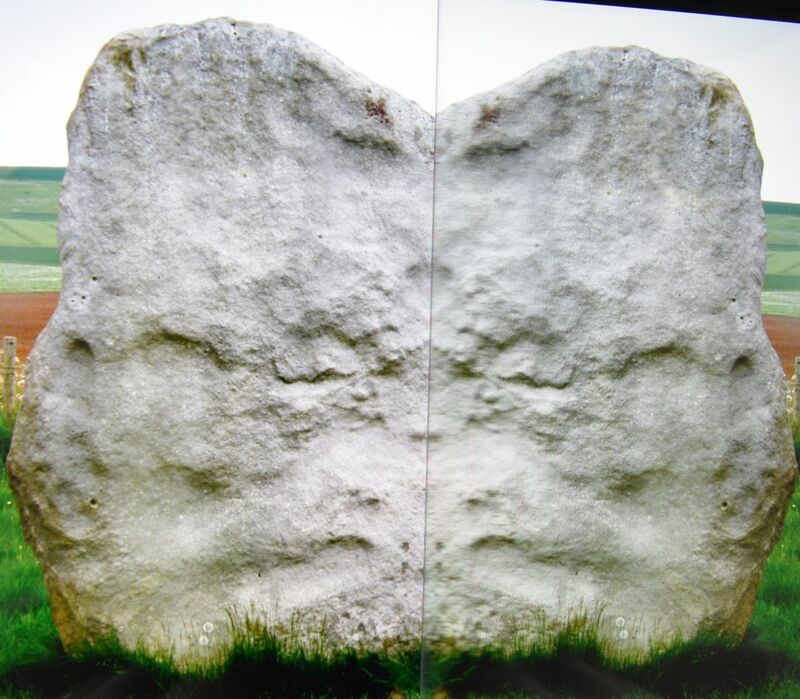 The second and third photograph shows one of these stones using the mirror as a reflective tool, which illustrates the powerful imagery of the unfolding energy that has been etched into the stone. 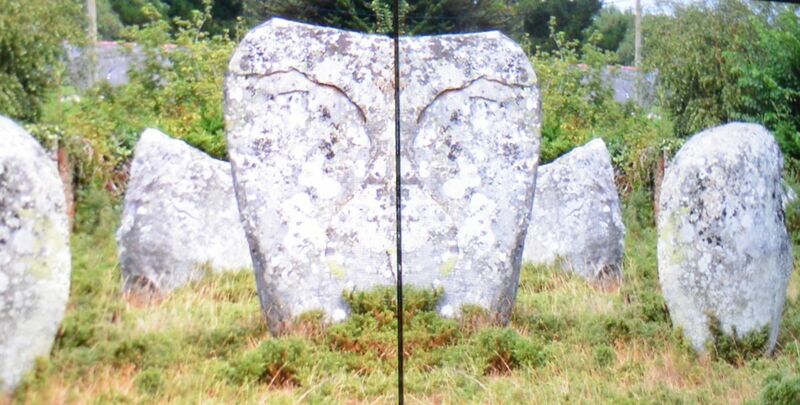 Not far from the standing stone on the home page (Annell Carreg), these photos show images of a similar design which reminds me of the Celtic patterns and faces of horned Gods and Deities. 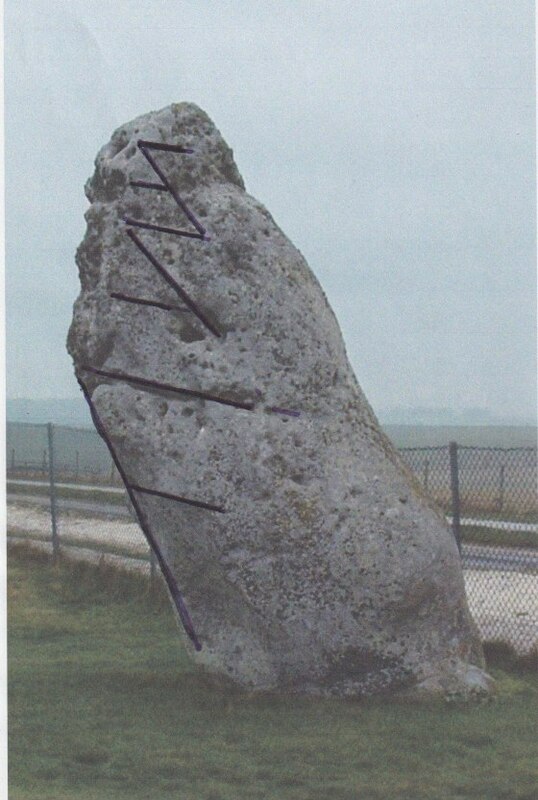 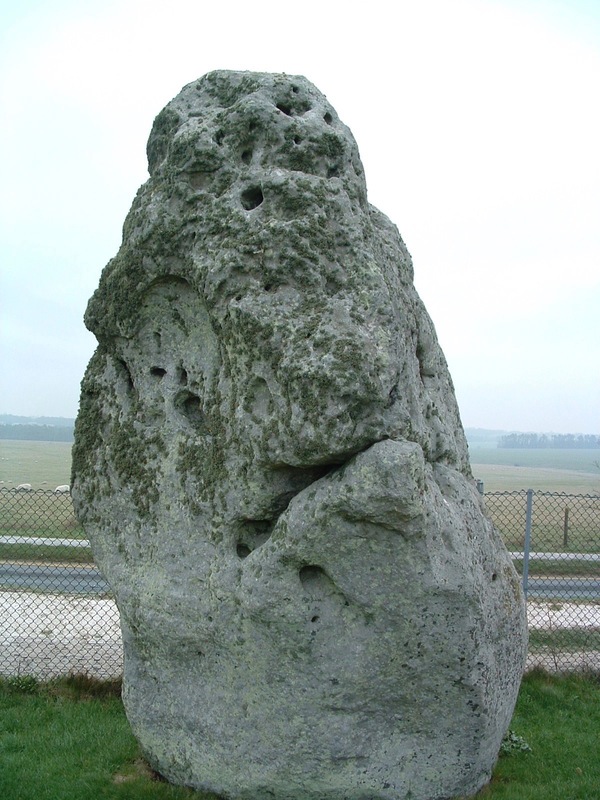 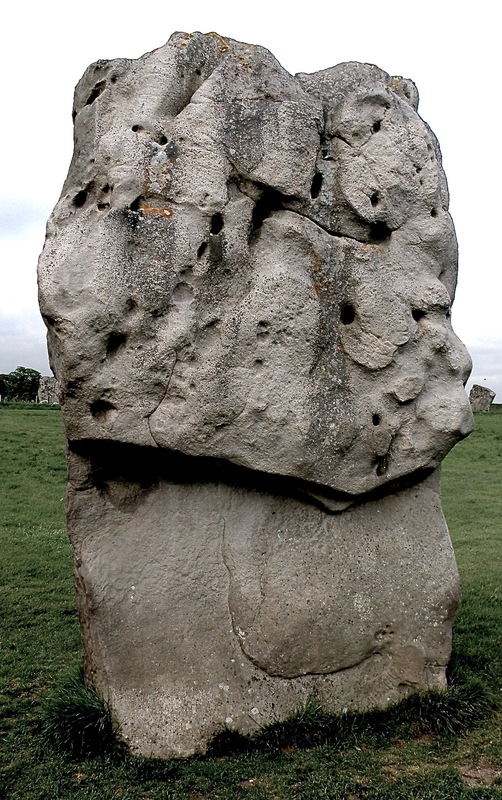 There is a complex set of worn scars on all the faces of the stone, carved by a structure that potentially opened and closed over and anchored to the stone. 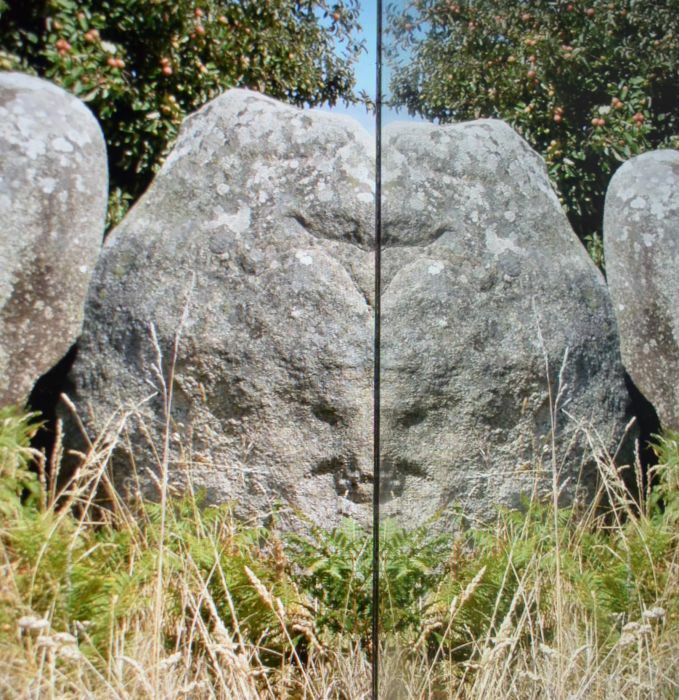 By using mirror imaging these pictures have allowed the mind to see the rough centre of the unfolding energy of the trellis that scars and shapes the standing stone. 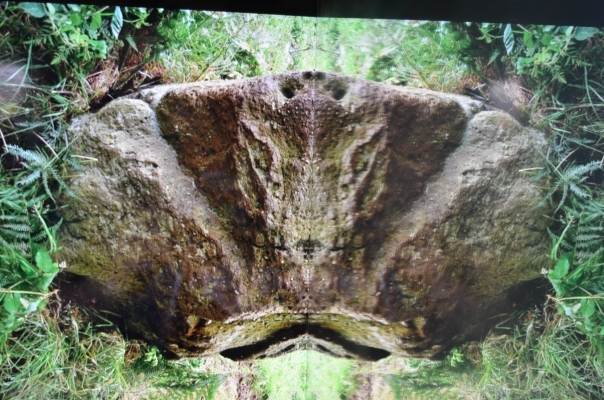 This has given the illusion of animal heads, wings and legs and gargoyle aztec masks that brings to mind rock art from around the world. 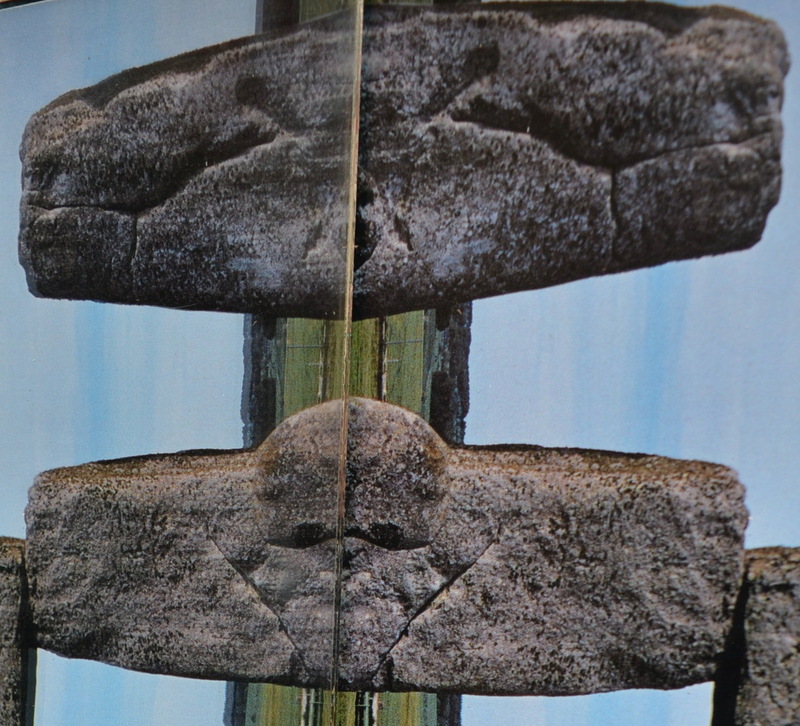 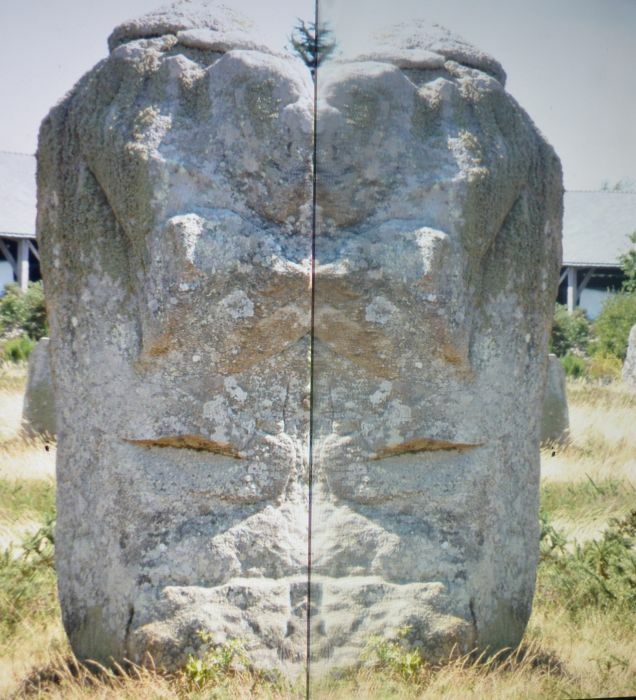 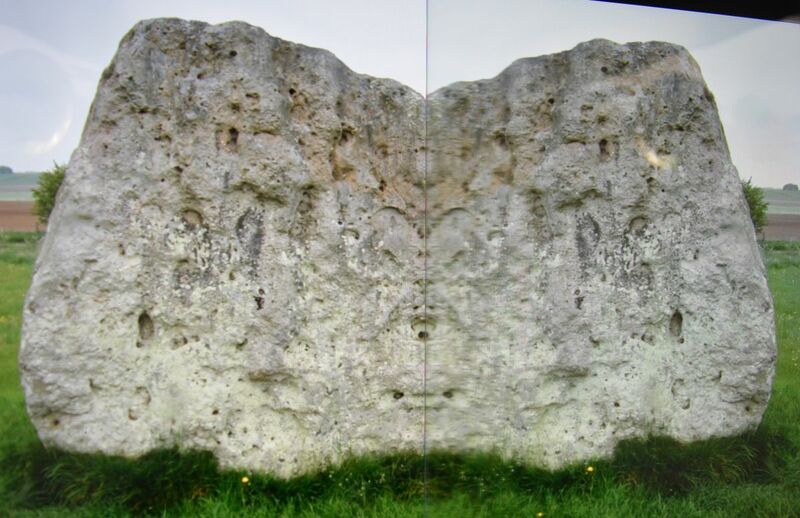 This is the Heel stone at Stone Henge split by the mirror... what do you see? 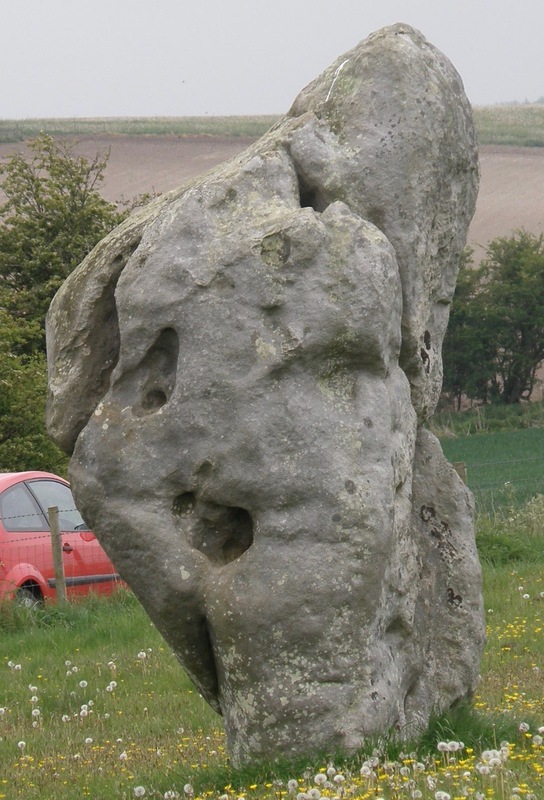 A succession of photographs depicting the rams head. 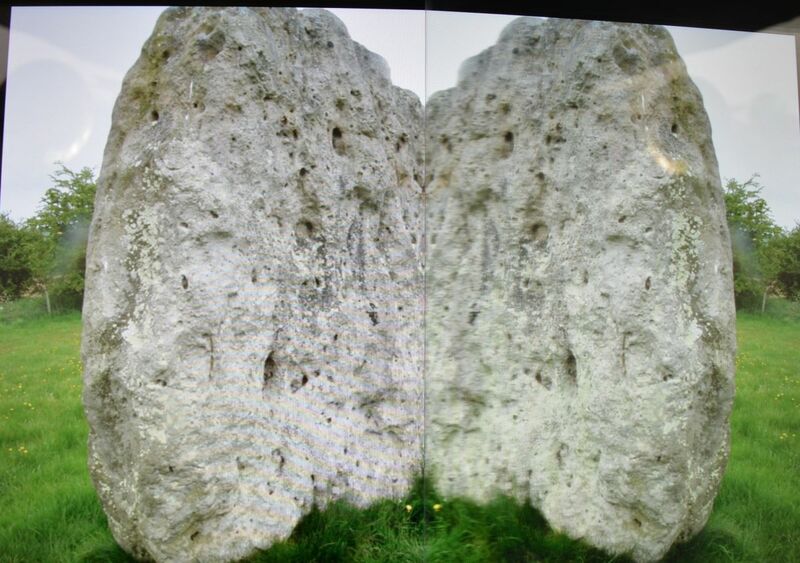 All these images are from Avebury Stone Circle and are created by splitting the image with a mirror. 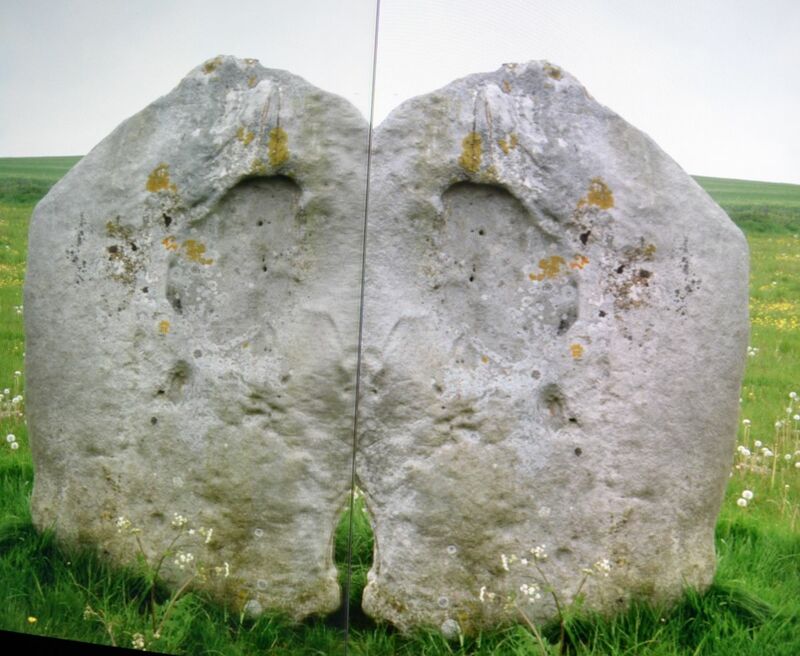 All the following images on the gallery show similar rams head images which would imply that standing stones must have had a common purpose. 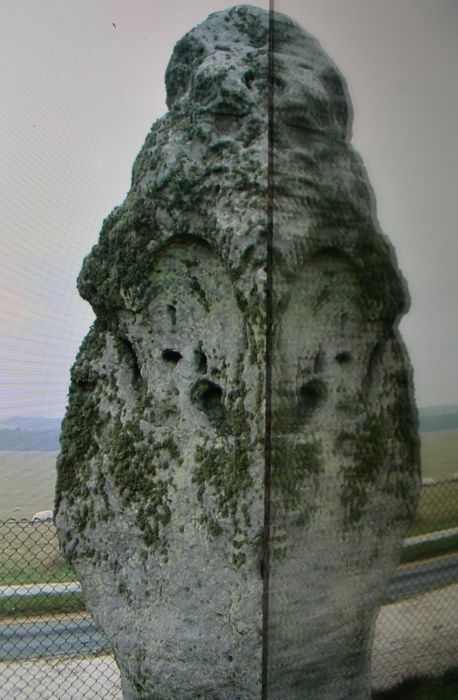 Carnac images of stones and the rams head. 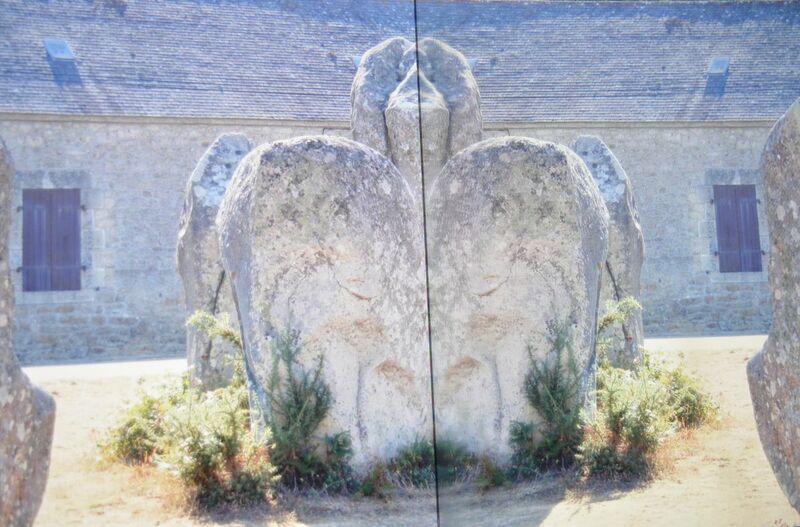 The last photograph shows a stone from Corsica which in reflection a lion can be seen. 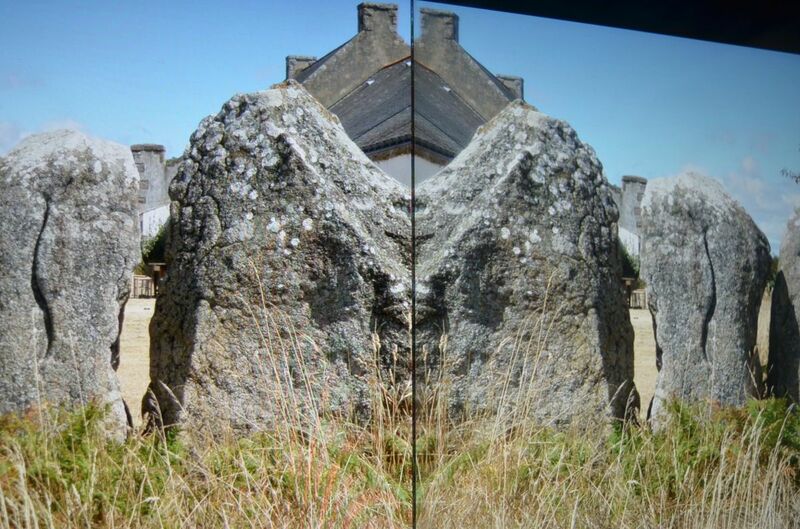 I have chosen some more pictures of Carnac to show the symmetry of the mark on the stones which I believe hods a mathematical formula. 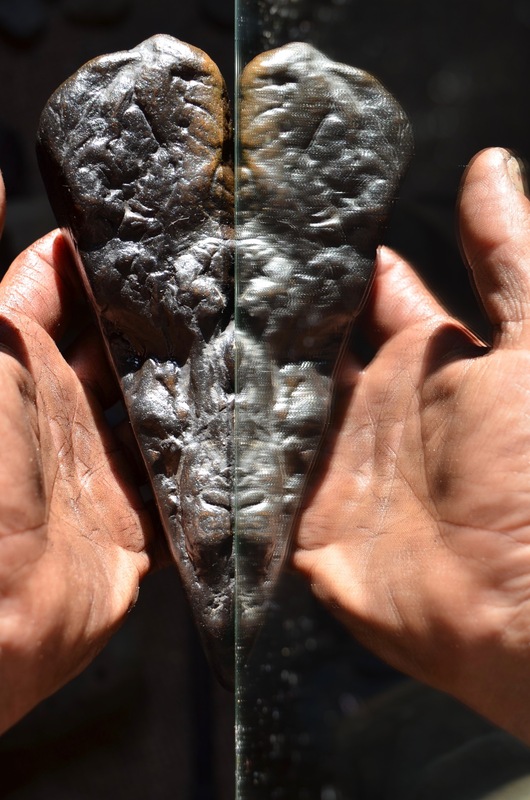 The mirror reveals the energy opening across the stone. 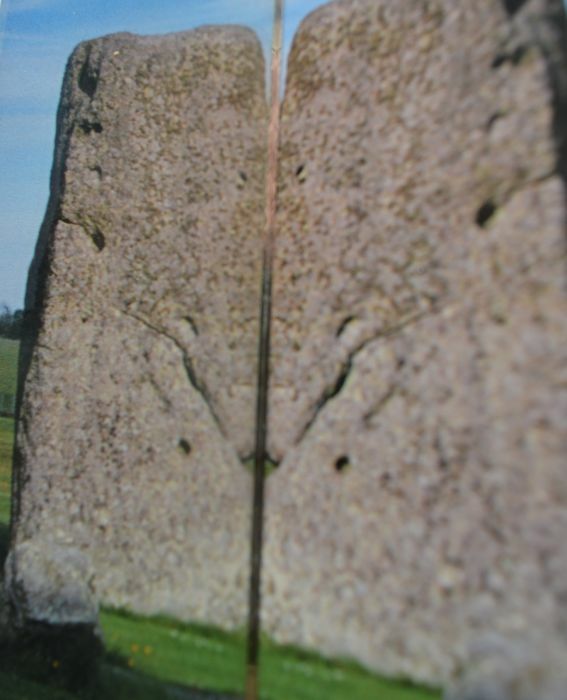 This can be seen in the lines that ripple outward from the top of the stone down to the ground. 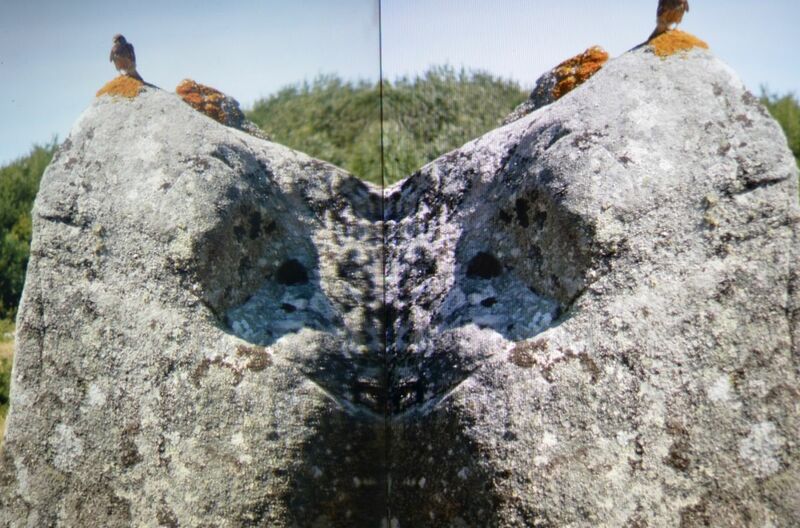 The following images show how the same occurs but in a much more subtle way.